Want to do something new and fun in SL this week? 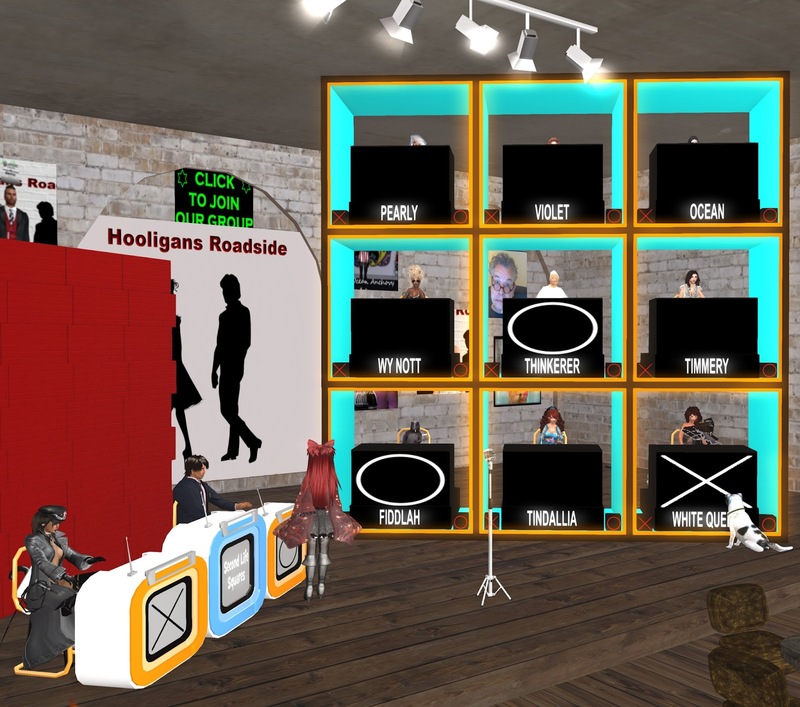 You need to be at Hooligan's Roadside Diner at 5 pm SLT on Thursday evening for stand-up comedy and SL Squares - a game styled after the game show Hollywood Squares. Comedian Catboy Qunhua will host the game and there will be cash prizes for the winners! The event is in chat and voice, so don't worry if you can't talk out loud. As long as you can listen in and type in chat, you can play. If you're not familiar with how the game is played here's a quick explanation: it's a game of tic-tac-toe where you win spots to put your X or O by agreeing or disagreeing getting the correct answer to trivia questions. The twist is that there are players in the squares answering the questions and the players have to decide whether to agree or disagree with their answers.